Seeing as I’m living in Sydney, I felt compelled to head out to visit Bondi Beach – it’s a pretty famous location, so figured it’s worth getting out there to check it out at least once. 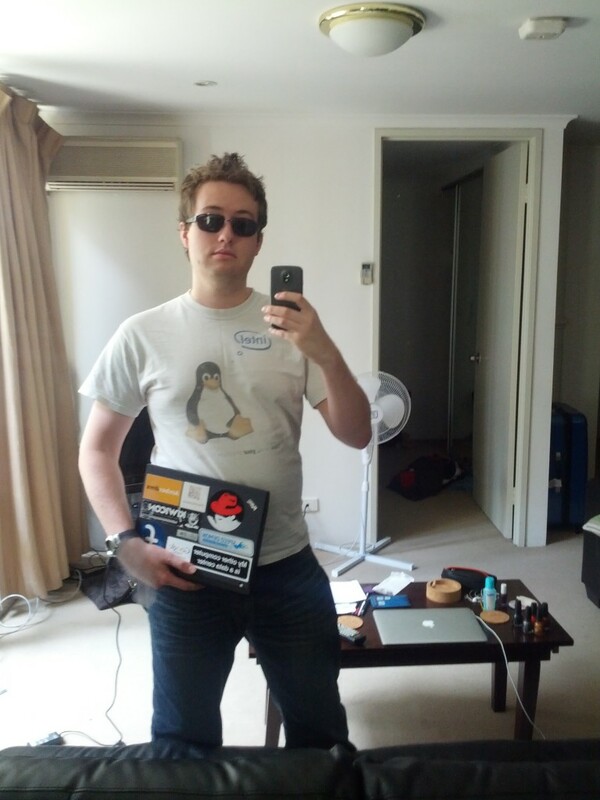 All set up for a day at the beach, geek style! 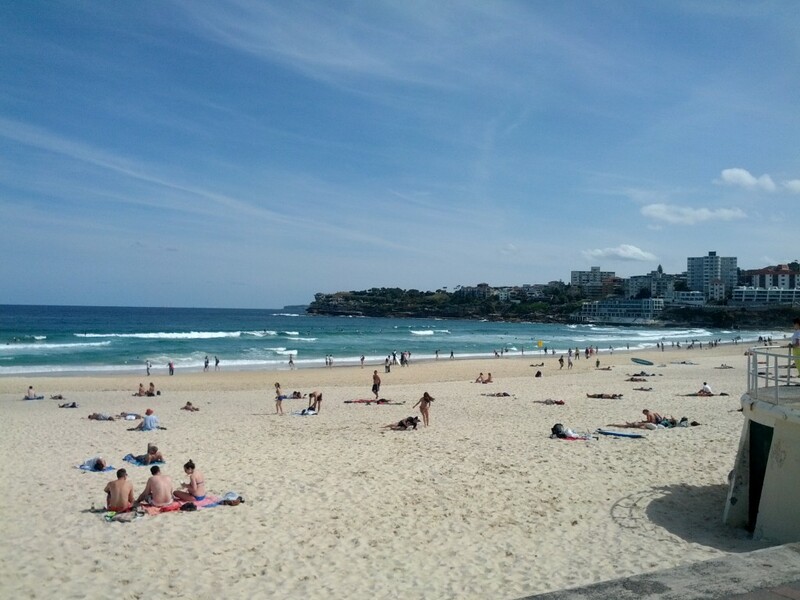 Getting out to Bondi is a bit of a mission, since unfortunately the rail link doesn’t go the whole way – instead you catch the train to Bondi Junction, and then switch to bus in order to get to the beach. You can buy a (pricey) ticket at any of the city train station machines that includes both the train and bus fare – costing about $8.80 return at an off-peak time. The bus is the worst part of the trip, in future I’ll probably consider just walking it as it’s only 3.2km from the railway station – whilst the buses *do* have air con, any benefits are lost with the squeeze with numerous tourists squished into it, personally I’d rather be hot outside than hot squeezed into a metal tin with random strangers…. Bondi Beach. It has sand. Waves. Usual beach things really. 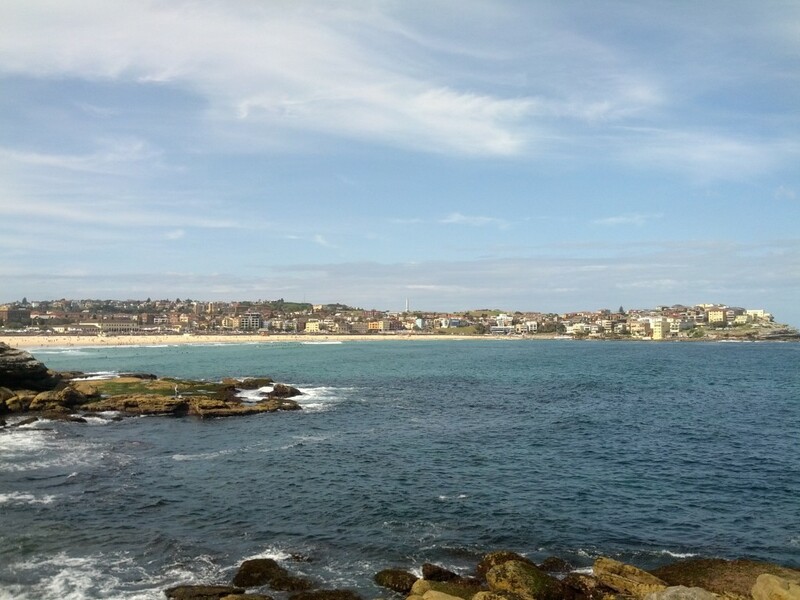 People are really the biggest issue with Bondi – it’s a nice beach in it’s own right, but the volume of tourists and shops around it kind of ruins the enjoyment somewhat, particularly when combined with the transport hassles. In summer the crowds can be massive, as much as 30 thousand+ – and it’s not a particularly large beach really. The smaller beaches in walking distance to the south like Tarramara and Bronte look more appealing if you’re more of an introverted type, or take the ferry over to Manly for some of the nice beaches over there. If you’re a tourist on holiday, you’re probably better off spending your time in Sydney to explore the city and waterfront and save the beach trips for when visiting Brisbane’s gold coast. Having said that, if you’re in Sydney and don’t mind lots of people, it’s a nice beach and looks great for swimming and surfing, plus it’s well patrolled by surf life savers. Aside from the beach, there are a large number of eateries along the beach and in the surrounding streets – (like Funky Pies for some delicious vegetarian/vegan goodness), as well as a walk up over the rocky cliffs. Walkway from the southern end of Bondi Beach. 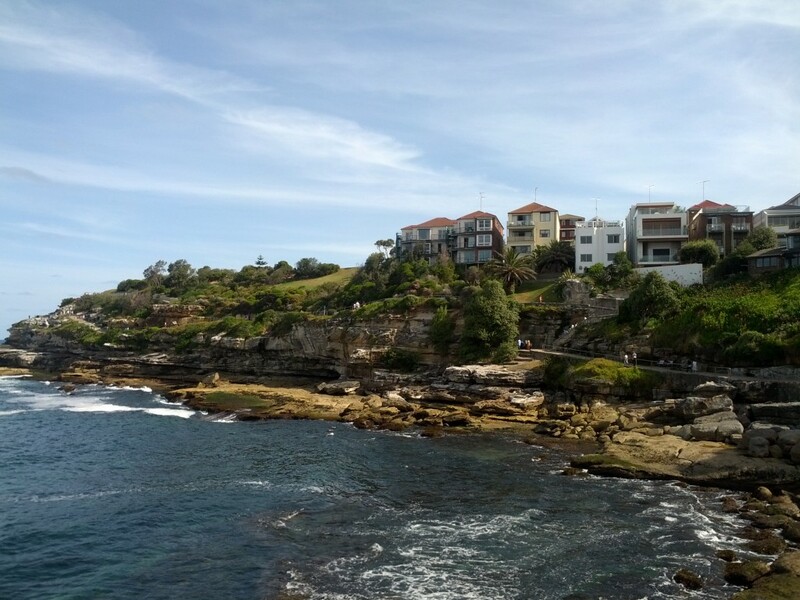 It was worth the visit, but I don’t think Bondi will become one of my regular visited locations, the transport hassles make it a bit difficult to get there – it’s easier for me to get out to Manly on the ferry than it is to get to Bondi on the train/bus. It would be a different story if living locally or having a private transport option- some of my colleagues at work get there by bike which seems to work quite well for them. 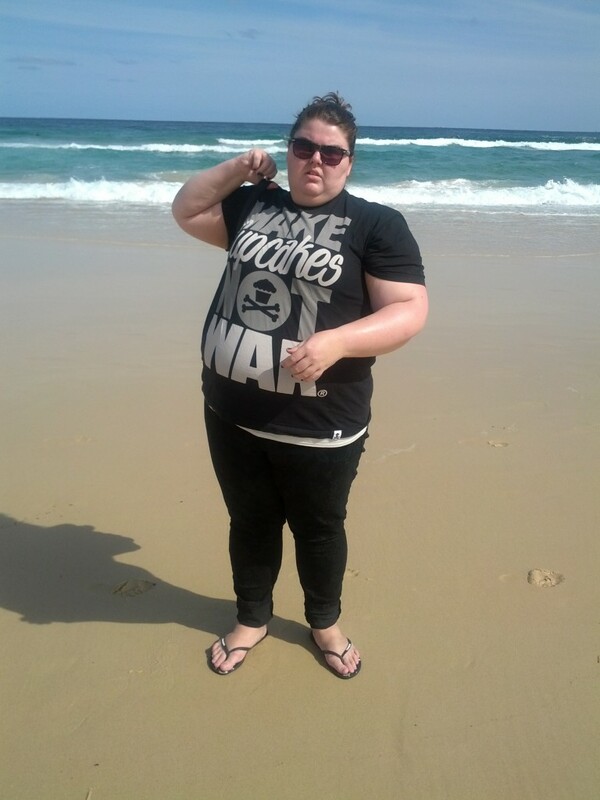 This entry was posted in Uncategorized and tagged beach, bondi, outdoors, sydney, travel. Bookmark the permalink.